#KillerPost :: Show Information :: RabbitTV GO! 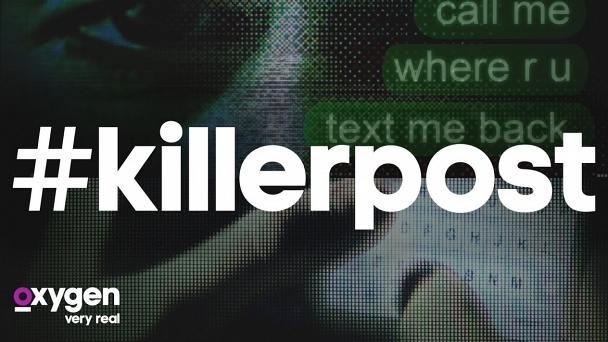 “#killerpost” profiles true stories of the most jaw-dropping and shocking cases where social media activity has had dangerous and deadly consequences. Although the crimes differ in nature, they all share a common theme – social media posts were the catalysts for deadly repercussions. Through cinematic reenactments of both the crimes and stories behind them – coupled with witness testimonies and expert interviews – each pulse-pounding episode will feature extreme cases in which a post, a poke or even a tweet led to a violent and even deadly result. From a seemingly innocent online connection that ends in homicide to an online feud between best friends that leads to a public physical altercation, viewers will witness how the boundaries between the real and online world are breaking down with shocking results and sometimes fatal outcomes.